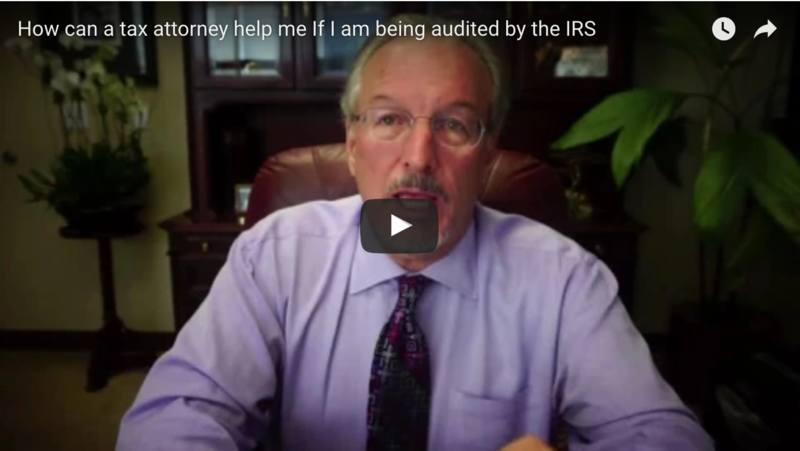 How can a tax attorney help me If I am being audited by the IRS? I understand the tax laws. I understand the procedures you have to go through with the IRS and the tax court. I'm very familiar with that. What I'll do is in order to prepare for the audit, make sure we organize all your documents and put everything into a QuickBooks accounting program and make a good presentation to the IRS. This tax law firm has two different divisions. Our first division is our accounting and bookkeeping division. When you go through an audit I'll make sure everything is inputted into a QuickBooks type program, make sure that the receipts and all the supporting documentation is all put together so we can make it an excellent presentation to the IRS. In addition to the accounting and bookkeeping department, we also have the legal department and the legal department is there in order to argue your case. To show under the rights, under the internal revenue code, the regulations and the cases why you're entitled to the deductions and why additional income should not be reported, if that's the case. 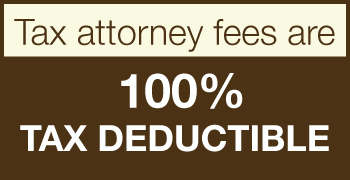 Those are the biggest benefits in order to having a tax attorney represent you as opposed to representing yourself. Another thing I generally like to do is I like to use your CPA, your tax preparer, or your enrolled agent, the person who prepared the tax return as your best witness. The witness that can come in and state you did everything right. You deducted the items that you were entitled to. You only took the correct income into account. I want to use them as a witness. You can't use those people as a witness if you have them representing you before the IRS because they then move from an impartial witness that can really help you to an argumentative advocate. An important thing in deciding who you want to represent you is in the event you're ever charged with a crime for any matter, you would always have an attorney come in and represent you because he's familiar with the case. He can negotiate all those type of things. That's what you want in a representation before the IRS on a tax audit. You need an advocate that can come in and argue your case. That's familiar with the tax law. Familiar with the procedures. Familiar with all those type of things. Why Was I Selected For an Audit? The IRS randomly selects 2%-4% of the general population in the low to middle income classes. The IRS also audits 5%-10% of mid-high income earners, above $60,000 /yr. In addition, when tax returns are filed, they are evaluated for their conformity with certain norms that the IRS expects to see in similar tax returns. The IRS has developed a set of norms based on audits of samples of randomly selected returns from prior audits. If your tax return does not seem to match up with the tax returns of similar taxpayers, your return might be at higher risk for an audit. Once a tax return is flagged for this reason, it will be reviewed by an experienced auditor. At this level, the auditor can either accept the return as it was filed, or flag certain items for additional review. If the auditor flags certain items for review, the tax return will move on to the examining group which assigns the case to a specific auditor. The auditor reviews the tax return an additional time and decides whether or not to conduct and audit. Another special audit would be all individuals with foreign bank accounts or foreign assets. 7% of small and midsize corporations get audited, along with all corporations whose gross income exceeds $100 Million. 5% of partnerships get audited. 20% of estates get audited. 1% of trusts get audited. The IRS takes a look at a discriminate function score, they input every one of the tax returns that are filed. They look at your profession, where you live, what you report for income and expenses, and from those numbers they come up with a discriminate function score. They then take a look at the higher discriminate function score returns, and then take a look at the gross income, the expenses, see if it looks like there's overstated expenses or under reported income, and then they select those for audit. Generally speaking, if you're a high income tax payer they select more of those for audit. If it looks like you've got ... you're reporting huge losses, those types of things, they'll select those type of returns for audit. There's a lot of ways that you look, what you do is you ask your tax preparer, "Is there anything out of the ordinary," before you file your income tax return. The second thing is the IRS looks at industries. The IRS will take particular industries, right now they're taking the construction industry and they're looking at those for under reported 1099's for overstated deductions, for contractors that are paying workers in cash, those are the type of things they're looking for right now. The IRS changes over a period of time and they change to different industries. How does the IRS find unreported cash transactions? People that don't deal a lot in cash, they generally pull money out of their ATM and they use it for miscellaneous items. That doesn't amount to much. The problem you're running into is when people hoard cash or they're paying a lot of their expenses or business expenses in cash, such as their workers in cash. That creates a real problem because they're avoiding payroll taxes by doing it that way. Everybody that deals in cash thinks that they're the only ones that ever deal with cash. They think that since they're dealing with cash, the IRS will never catch them. That's actually not true. The IRS will be able to do an analysis of the sources and uses of cash analysis to determine how much did they bring in in cash, how much did they pay out in cash and if there's excess cash left over at the end of the year, based on their analysis, they have under reported income. What Red Flags Can Increase My Chances Of Being Audited By the IRS? The IRS uses red flags in order to determine which tax returns to audit. Some of the biggest ones is if you are reporting high income. They can generate more of an audit adjustment from them than from the other tax returns, so they audit people with high income. Another thing they do is they take a look at the deductions. If the deductions are so large that they're unreasonable, or out of the ordinary for that type of business, then they'll audit those tax returns. They also audit large charitable contributions. Another thing that they'll take a look at is businesses that generally deal in cash. Contractors deal a lot of times in cash. They pay their workers in cash. Those are the types of things that they'll audit. Another red flag is if the IRS knows about a tax preparer that they have a poor reputation, or that they've had audits and they've gone very badly for them, the IRS will audit more of their clients than anybody else. We happen to know who the people with the poor reputation are in the community, but those are the ones that you really want to stay away from. Is My Tax Preparer Qualified To Represent Me In An Audit? If you don't have representation, the IRS will see that, and human nature is that they will "walk all over you." You'd do the same if you are in their shoes. It is important that you get competent tax and legal advice, as this area of law encompasses both fields. I would not have your own tax preparer represent you in an audit as there is a clear conflict of interest between the result that would be in their best interest, and the result that would be in your best interest. Occasionally you need to show there was a lack of communication between you and your tax preparer, getting you out of significant penalties. Often less skilled representatives will want to blame the understatement of income on the taxpayer so that the IRS doesn't believe that the tax preparer did anything wrong. This only cost you money. The only case where I would not have a tax attorney represent you is when the amounts are so small as it is not cost effective, or that you are certain that all income has been reported and your business expenses are legitimate. For more information about your situation and whether or not you need legal representation visit our contact us page. If you have a simple audit, your tax preparer would probably be fine, but if you have a situation that you have a complex audit, or if you've taken aggressive positions on either underreporting income or overstated deductions then that's where you don't want to use that tax preparer. Another thing that's really important is you want to use your tax preparer for what they are best for. You went to them in order to prepare your tax return, and they can be your best witness for you. They can say that you went in there, that were reasonable, that you gave them the expenses, and you did everything that you thought that was necessary in order to get out of penalties, but you can't use your CPA or tax preparer in order to make that argument. You have to use another professional in order to come in and argue the case. Then use your CPA or your tax preparer as the best witness on your side. In addition, when you hire a tax attorney you get attorney-client privilege that you don't get with CPAs and tax preparers, and that everything you say to your tax attorney is protected by the attorney-client privilege, and every document that is prepared by them is protected by the attorney work product privilege. That doesn't apply to CPAs and tax preparers. Now CPAs and tax preparers have accountant's privilege, and it applies in certain circumstances, but it doesn't apply when you need it the most in a criminal context. Does the IRS Ever Contact Taxpayers Through Email to Initiate an Audit? No. The IRS never contacts taxpayers through email in order to initiate an audit. Due to certain disclosure requirements, the IRS will contact the taxpayer to notify regarding selection for an audit solely through mail or telephone. The letter you receive from the IRS will indicate the type of audit the IRS intends to perform, as well as any instructions for you to follow. For more information, read this article about how you will know if the IRS is auditing you. What If I Ignore The Audit Notice? If you ignore the audit notice, the IRS will overestimate the amount you owe, send the Notice of Deficiency to the last address they have on file for you, and assess the tax, penalties and interest without you even knowing it. Then they can collect your assets without your approval. Although this appears to violate the Due Process Clause, the courts have continuously upheld this technique. If you ignore the audit notice, the IRS will finish the audit without you. What they'll do is they'll just look at your tax return. They'll disallow your deductions. Send a 30 day letter to you. If you don't respond to the 30 day letter, then they'll send a Notice of Deficiency, which you have 90 days to respond to. If you don't respond within the 90 days by filing a petition in Tax Court, then the IRS will assess the tax against you. The assessment is the legal obligation to pay. You will owe the money, even though you didn't appear in the audit or the appeal process. 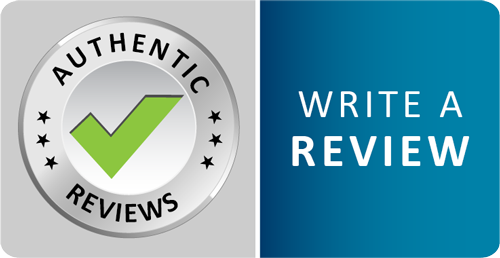 No, filing an amended return does not affect the selection process of the original return. However, amended returns also go through a screening process just as initial returns do, and the amended return may be selected for audit. In general, if you explain the reason for the amended return and back up your return with any required documentation, the IRS will simply process your amended return without initiating an audit. It's your choice as to where the audit is to be held. Generally, it's going to be held where the taxpayer resides. If you've got two or three homes, then you can make a decision at that point what area you want to have the audit held in. It should be convenience to you. It's not necessarily convenient to your tax preparer or your power of attorney. It's convenient to where you are living. If you want to get it moved, you can, but you generally have to be residing in that other area as well. 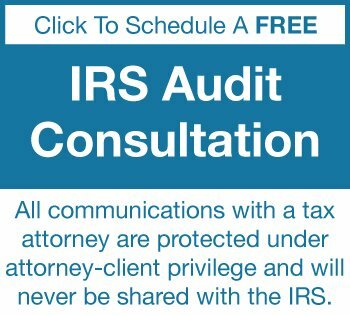 If your tax return has been selected for an office audit, but you wish to change the in-person audit to another IRS office, you can submit a request. In granting this request, the IRS will consider several factors, such as your current location, the location of the business, and the location of the books and records. If you have been selected for a correspondence audit, but you believe the books and records are too voluminous to mail, you can request a face-to-face audit. The audit process begins with an IRS audit letter and generally includes the specific items of income and expense that the IRS is initially intending to review. These items may be expanded to other years and other items if the initial categories don't reconcile. It's imperative to have all your documents well-organized, and a thorough understanding of the tax and legal issues in the case - at the initial audit interview. The IRS starts with an interview to try to lock you into admitting things that will harm you at a later time. For example, they will ask you about your beginning and ending cash balances, to try to prevent you from arguing that you had a cash hoard from inception. Proper and thorough preparation for the audit is the key to winning an IRS audit. For more information, read this article about what to expect from IRS audits. The audit process is where the IRS starts out and they select your return from based on the discriminatory score or things that you did on your return, or that are out of the ordinary, or just random. What they do is they send you a letter. They ask you to call them within 15 days. If you do, then you set up a meeting and you bring all your books and records together and you sit down and you meet with the auditor. If you don't respond to that, then the IRS will send out a 30 day letter, and then a Notice of Deficiency, and then assess the tax against you. If you do respond, what you do is you organize your documents in a logical manner, go in and meet with the IRS, and in a simple audit, you can resolve the audit. In the event that you're involved in a complex audit or you take an aggressive position on your income tax returns, you want to hire a competent tax attorney to represent you. They'll show you how to organize the documents in a logical order. We'll make sure that all of our arguments are determined before we go in with the audit so that when we meet with the auditor, everything is well planned out and well organized and we've put a very good presentation before the auditor and you end up with significantly less in the way of tax penalties and interest because of that. Tax is about preparation. What are the Do's and Don'ts of an IRS audit? The most important thing that you do want to do when you're doing an IRS audit is be well organized from inception. Input your income and expense audits into a QuickBooks program so you can easily see by category what each one of your expenses are and where your income's reported. You can also then determine which of your bank deposits are taxable and which items are non-taxable. Either re-deposits of NFS checks, interbank transfers, loans, those type of things. It's important to be well organized. Another thing is you want to show up on time. You want to be honest with the Revenue Agent. You need to explain what's going on in your business. You need to be well prepared as to how your business operates and what income and expense items you generally have. The don't items, the things that you don't want to do with the IRS is you never want to make a false statement even if you think you're going to get a benefit in the audit because it will come back to hurt you at a later time. The IRS is looking for false statements to see if you're honest, if you have integrity. If you do what you're supposed to be doing. Certain questions that you absolutely don't want to answer, questions on cash. Case at the beginning of the year, cash at the end of the year, how much cash you deal with, if you're dealing in cash because that's going to be a real problem. Another type of item that you don't want to answer are why questions. Why do you do things a particular way? Those are the type of questions that the IRS is looking for slander or evil motive or those type of things. Those are specific intent type questions. That can be criminal in nature so don't answer the why questions. Those are generally the ones. The other do's and don'ts happen to be listed on my website and you can go through them easily. How should I prepare for my IRS audit appointment? The most important thing about preparing for the audit appointment is organize your documents in a logical order. The IRS will go through their initial interview first, then they'll ask you for your documents. The documents that they ask for first is going to be your bank statements, but that's all bank statements, business, personal, brokerage, investments, savings, checking, any type of a account. Get all of your accounts during that calendar year on all the bank statements for that all your accounts. Then what you do is get all your receipts together. On your expenses you want a receipt explaining what items you're deducting. In addition to that you actually have to show how did you pay that item? Did you pay it by credit card? Get your credit card statements. Did you pay it by cash? The cash will show up on the receipts. It generally says paid by cash on the receipts. If you have by check, organize all your checks and put your business expenses by category, organize it by category. What questions will the IRS ask during an audit? During the audit process there's a typical list of questions that the IRS will ask, and those are set forth below on my website. The ones that are most important on there tend to be the ones relating to cash. If you can go down to the section relating to cash they'll ask you, "How much cash you had at the beginning of the year? How much cash you had at the end of the year? And how much [inaudible 00:00:27] withdrew throughout the year?" If you're dealing in cash, then you need to do an analysis on your cash to see if it's reasonable based on facts and circumstances, and the return should have reported the total amount of income. What Documentation Can The IRS Request During An Audit? The IRS will ask you to produce all business, personal, brokerage and investment bank statements, all credit card statements, canceled checks, invoices and receipts for your business and itemize deductions. They will ask for all real property escrow documents and related entity transaction documents. Each document should be carefully scrutinized to submit only those documents that have no privileges attached to them. This includes the attorney-client privilege, attorney work product privilege, marital privilege, psychoanalysts privilege, etc. It's imperative to not submit any documents unless it has been determined that they are discoverable under the Federal Rules of Evidence. If you no longer have the documents, the IRS may Summons the records from third parties including banks, financial institutions and others such as your clients, customers and business partners. For more information, read this article about IRS requests for information. During a regular revenue agent's examination, during an income or payroll tax audit, they'll ask you for specific documents. It's important to make a decision - long before the revenue agent asks you for those documents - whether those are the type of documents that you want to turn over or not, depending on what the facts and circumstances are in the case. So that's why a tax attorney would go in, do an analyses to see what are the issues in a case, and how best to defend them. Eventually it will come down to the point that you have to turn over certain documents. The documents that you are required to turn over, and that the IRS can collect by a summons or subpoena if you don't voluntarily provide to them, are documents that are prepared in the regular course of business. When you prepare an income tax return, you do your regular financial accounting - those are documents prepared in the ordinary course of business. Tax return preparation documents such as financial statements, a balance sheet, income statement - those are documents prepared in the ordinary course of business and they are discoverable either through an information document request form from the IRS, through a summons, or later subpoena. The documents that you don't want to turn over to the IRS are the documents that are prepared with your tax attorney, documents that are prepared in anticipation of litigation. You're not required to turn those over to the Internal Revenue Service. How Long Do I Need To Keep My Reciepts An Records For An IRS Audit? Generally, you want to keep your records, your income items such as bank statements, cancelled checks, credit card statements, those type of things, you want to keep those for seven years. The reason you keep them for seven years is the IRS has a general three year audit statute of limitation. That can be expanded to six years if you understate income by 25% or you have over $5000 as a result of a foreign bank account. You want to keep them one more year, because remember the 2016 year, you don't file the return until April of '17 or October of '17, so that's why you want to keep your books and records for seven years. After the Conclusion of the Audit, Will the Results be Checked for Accuracy? What Should I Do if I am Not Ready for my Audit Appointment? In the case of office and field audits, you will have a specific date and time for an in-person appointment with the IRS representative handling your audit. If the time comes for your audit appointment but you are not ready, then you have several options. You can contact the auditor and request more time to compile the requested documents and records. Sometimes, your auditor will ask you to still appear at the original appointment date but only present whatever records you have been able to assemble at that time. However, if may still be able to postpone the appointment to a late date but doing so may require approval from the auditor’s manager. If you're not prepared for the IRS audit, don't go in. Nothing but bad can happen. What you want to do is you want to extend it, so call the IRS auditor, extent it at a later time, get a little bit more time, and go in prepared. Don't go in unprepared. Just don't go in unprepared. Can I appeal the findings of an IRS audit? If you don't agree with the audit results, you have the right to appeal the IRS final determination, within 30 days of the IRS letter. The appeal must include sufficient supporting documentation, evidence, facts and legal analysis as to why you are entitled to a better result. If an audit is timely appealed , an IRS Appeals Officer is assigned to the case and negotiations at the appeals level begin. An IRS Appeals Officer is more experienced, more educated, and more knowledgeable about the law and the facts, then a Revenue Agent. An appeal must be handled in a technically competent manner with sufficient evidence and legal authority in order to prevail. For more information, read this article about appealing an IRS audit. Yes, the IRS when they get done with their audit, will first send a 30 day letter which gives you 30 days in order to provide additional information in order to say why things on the form 4549 Income Tax Examination Changes is incorrect. You'll have 30 days in order to that. Provide that to the revenue agent and he'll take a look at it at that point. In addition to that, in the event that you don't meet the 30 days, the IRS will send a Notice of Deficiency and you still have 90 days in order to file a petition in US Tax Court disagreeing with the audit, and then you deal with IRS appeals and IRS area council, not the auditor, but the IRS appeals area council in order to resolve the audit. What Is The Best Way To Avoid Being Audited? Because of the fact that some of the people that are audited by the IRS each year are simply randomly chosen, it is impossible for you to avoid being selected within those groups. It is a numbers game and there is a chance you could be randomly chosen. However, a significant portion of those selected for Audits are based on conformity to established norms and therefore you can reduce the likelihood that you will be selected within that group. The best way to avoid being audited is to prepare your tax returns correctly, from inception, and have nothing out of the ordinary in your tax returns, that you cannot prove. 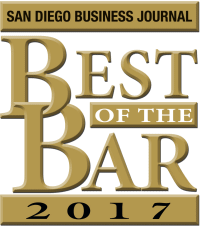 Assure you have all supporting documentation and evidence in your file to present the best defense available. While you cannot do anything to avoid Audits with absolute certainty, you absolutely can Audit-proof your finances by keeping perfect records on all financial transactions and keep those records organized and accessible. With the plethora of accounting programs available today, and many of them also offering mobile apps, the task of solid bookkeeping is now easier than ever. An added benefit to perfect bookkeeping, is that if you do get audited and the IRS Auditor sees that your records are bullet proof, they are much less likely to question any of your record keeping or reporting practices that are outside the scope of the original audit, greatly simplifying the audit process. For more information, read this article about IRS audit red flags.